This tattoo image is believed to have been originally created by Justin at Saint Tattoo located in Knoxville, TN on or around Feb 13, 2018. The image, image's subject and the tattoo artwork involved in the image shown above are property of Saint Tattoo. Own a Shop? 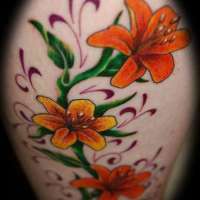 We offer Fully Mobile Responsive Automated Tattoo Studio Websites with SEO compliant metadata, allowing you to pay attention to your business and the next awesome tattoo. Tattoo images by Justin from Saint Tattoo. Tattoo images from Saint Tattoo in Knoxville, TN. Tattoo Images near by in Bristol, TN.